It looks like a four month old rumor just came to life as the specifications and benchmarks of NVIDIA’s GeForce GTX 660 SE GPU have been leaked by Chinese forums PCEVA. 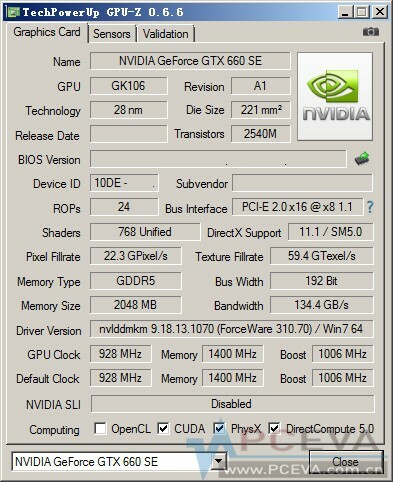 The forums confirm GeForce GTX 660 SE through a GPU-z shot along with a few 3DMark 11 benchmark comparisons. GeForce GTX 660 SE – Last NVIDIA Kepler GPU? Almost four months ago, we heard the first rumors of NVIDIA preparing a GeForce GTX 660 SE card on the GK106 chip. The GeForce GTX 660 SE (taking in account the earlier rumor) is based on the GK106-250 chip which feature 768 Cuda Cores, 24 Raster operation units and a 192-bit memory interface. The bigger memory interface and fast clock speeds is what differentiates the GeForce GTX 660 SE from GTX 650 Ti. Both GPUs have the same number of Cuda cores. The core clock of the GeForce GTX 660 SE would be set at 928 MHz, same as GTX 650 Ti but would also feature Turbo boost upto 1006 MHz and a higher memory frequency of 5800 MHz. Power would be provided through a single 6-Pin PCI-e connector with total TDP rated around 125W. Display outputs include Stacked DVI, HDMI, Display port. Coming to the benchmarks, we are looking at 20-25% average performance improvement over the GTX 650 Ti due to the 192-bit memory interface but a minus 10-15% performance against the faster GTX 660. 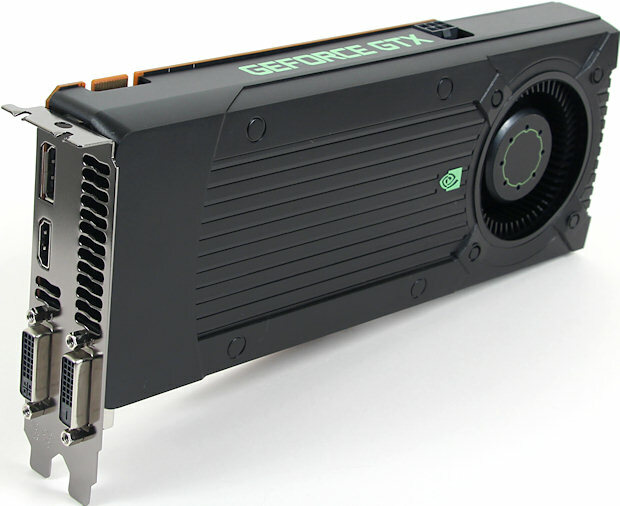 This puts the GeForce GTX 660 SE at a competitive stage against the AMD Radeon HD 7850 while the GTX 660 tackles the HD 7870. We can assume the price range would fall around $179 – $199 US. Launch date has not been released but it will probably debut in early Q1 2013.